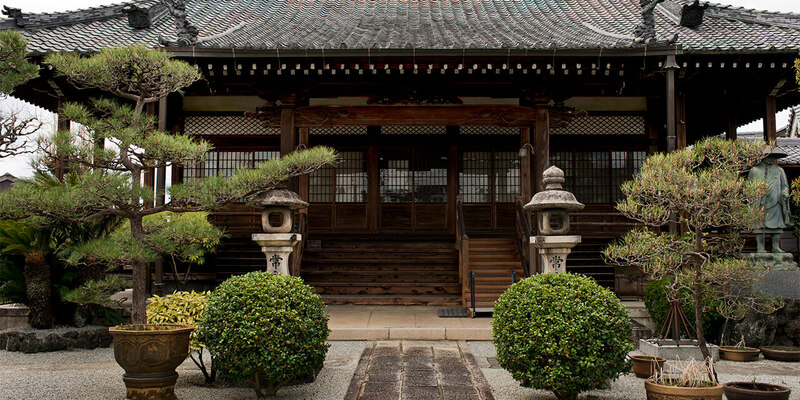 Visit the town of Gojo, where visitors can enjoy unspoiled landscapes of Nara and houses built in the Edo period. In April, the fleeting colours of cherry blossoms and new leaves announce the end of the long winter. In this quaint, elegant town, time seems to stand still. 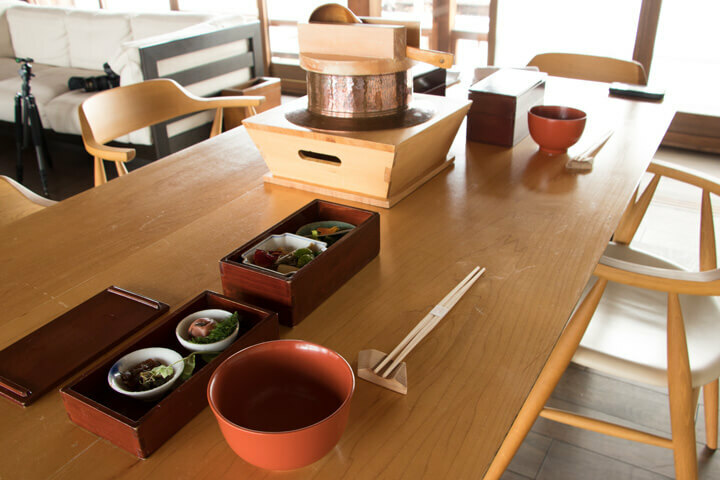 Gojo offers a place for you to unwind; it’s ideal to visit with family, with friends, or even on your own. 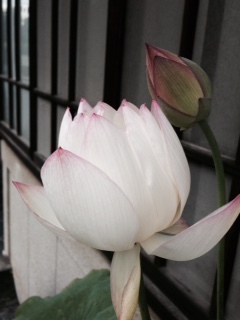 The prefecture of Nara has succeeded in preserving its splendid countryside, beaming with charming landscapes. 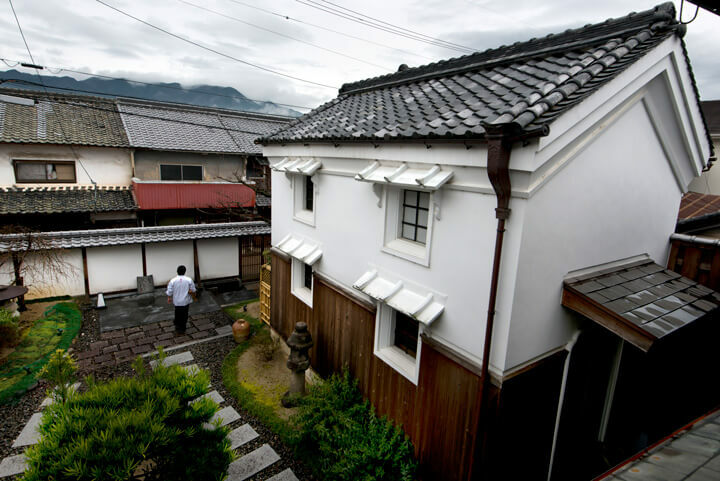 Situated on the banks of the Yoshino River is Shinmachi, the historic area of Gojo. On the main street, you’ll find a traditional inn dating back to the 17th century. The two main buildings of Yanaseya, the Hanare (principal dwelling) and Kura (storehouse), were both built during the Taisho period (1912-1926). 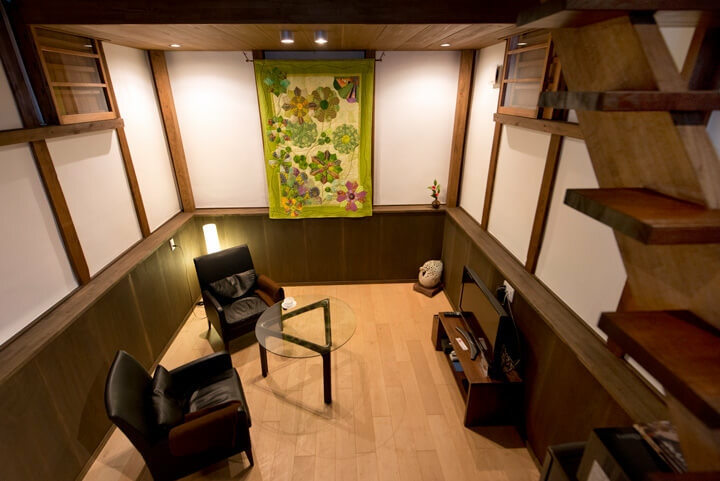 The first floor of the Hanare has two traditional tatami rooms, while the room on the second floor is modern with sofas and table. Day or night, this upstairs room offers guests absolute comfort, as well as a delightful view of the gardens. 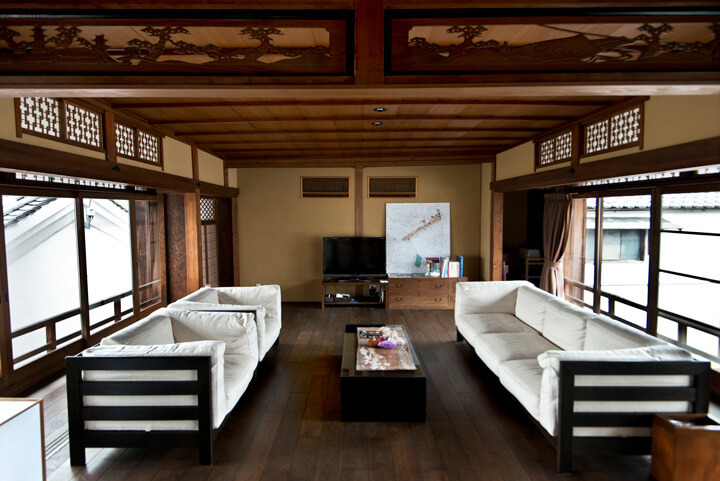 The Hanare is built in the Sukiya-zukuri style, a type of Japanese architecture designed for residences based on tea house aesthetics. 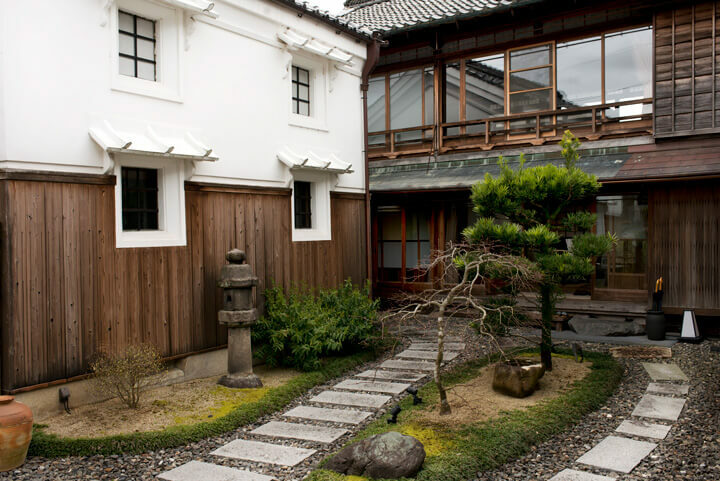 You’ll appreciate the elegant engawa, wooden corridors contouring the long side of the main rooms. 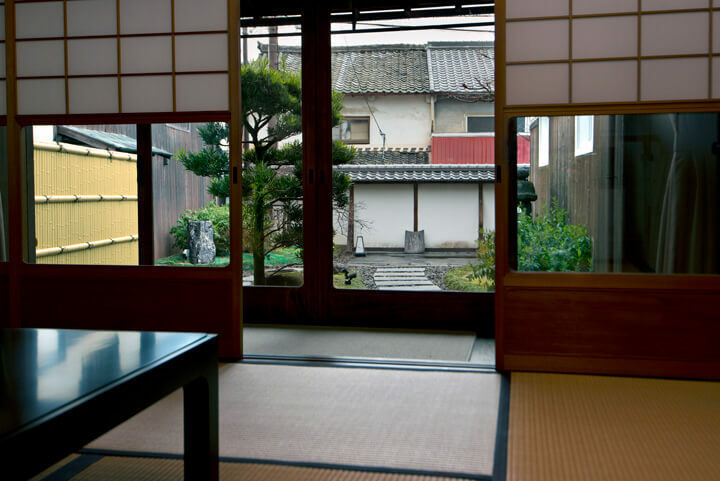 Sitting on the tatami and looking out at the garden through shoji, traditional sliding doors made with rice paper, you’ll forget the time. Turning the key to the Kura, guests will open the massive and ancient door to discover an interior unexpected from the traditional exterior. Modern and luxurious, the interior has been renovated with delightful contrasts. The space in the living room is amplified by the high ceiling. And upstairs, you’ll find a relaxing bedroom and comfortable bathroom in the charming attic, which features magnificent bare wooden beams. This comfortable residence can accommodate up to five guests in the Hanare and two people in the Kura. Meals are not served, but the owner can recommend restaurants in the neighbourhood. Breakfast can be served upon request by Genbei, a Japanese restaurant just across the street. Those interested in making reservations are recommended to do so in advance. 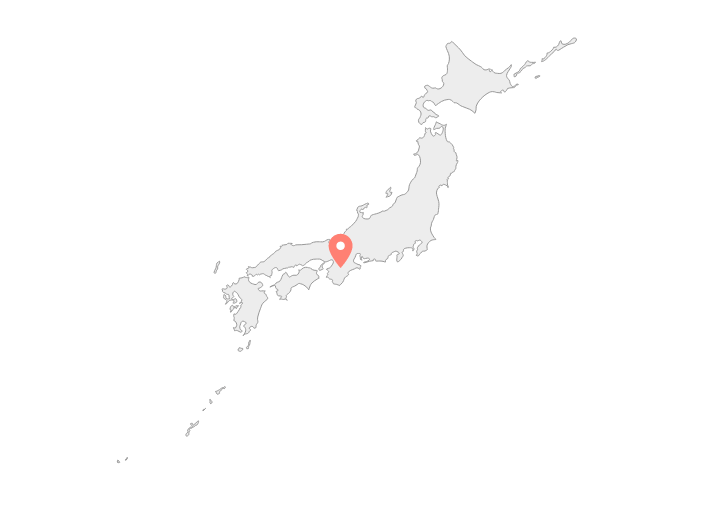 As there is no reception at Yanaseya, guests are required to contact the owner directly to inform him of their arrival time. We ordered a traditional Japanese breakfast from the neighbouring Gojo Genbei: cha–gayu, a rice porridge flavoured with tea. 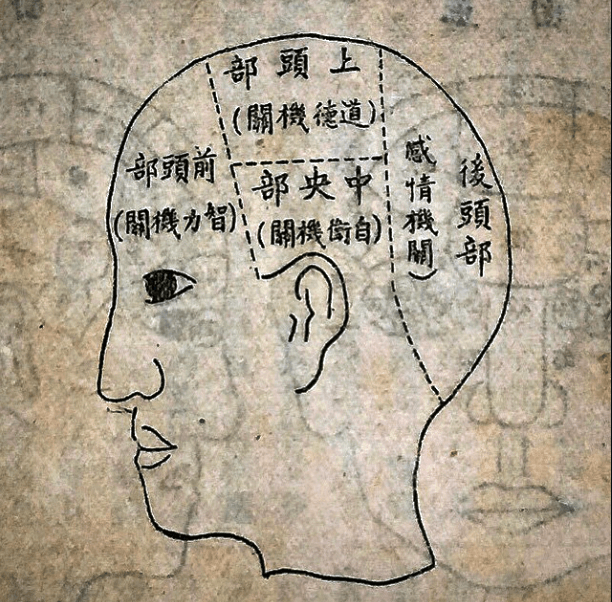 Traditionally, this meal was prepared in temples in the Nara region with roasted tea to make it easier to digest. The chef at Genbei respects this tradition and serves this porridge along with pickled vegetables and tofu. 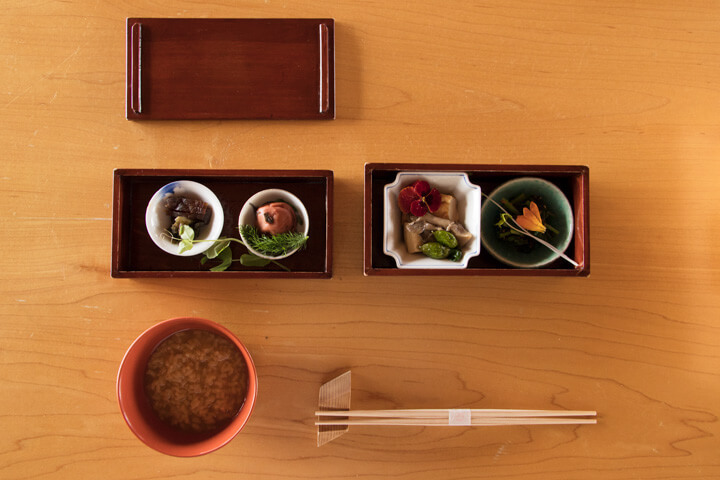 This simple yet savoury dish is presented in refined wooden lacquer ware. What a delightful start to the day: wearing yukata, a light cotton kimono, and enjoying this typical breakfast that rekindles us from the core.